There are 14 reviews of Tubéreuse Indiana. Here's an experiment I encourage everyone who reads this to try: take your longtime favorite bottle of perfume and hide it from yourself for a good long while. Spend some quality time in the interim with other scents, and then come back to it. You might surprise yourself. I've worn Creed Indiana for years and years and years, and years and years. I figured I understood this stuff. In the last few months, after joining the Basenotes community, I put my bottle on the back shelf, and turned my attention and my perfume palate to other things. I thought I knew what to expect after all this time away, but Indiana has surprised me. 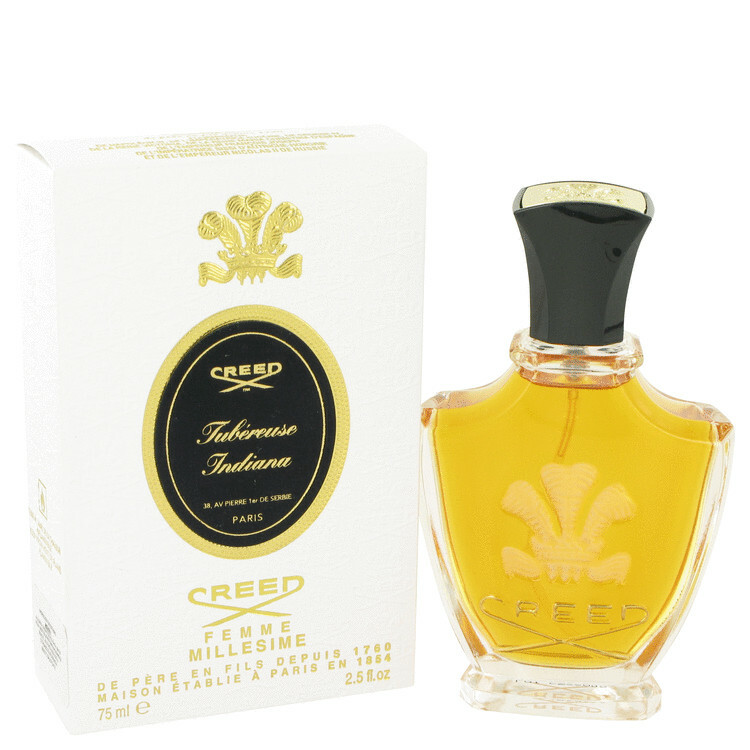 Creed includes tuberose in the name of this perfume, but it's not a soliflore. I knew that much. What I didn't know until I smelled it again was how weighty this fragrance feels. This is a floral-forward fragrance that thinks it's an oriental, a spicy, funky bouquet of aromatic heavy hitters: bright tuberose, heavy jasmine and just a flutter of bitter carnation. All of this is bolstered with a distinctly saline Ambergris that leaves your lips stinging. As the fragrance settles down, it takes on the heady, almost overripe scent of flowers almost past their bloom. Then it dries down to a powdery, musky, inedible vanilla. I don't know how this fragrance fools so many people (including me, for years) into thinking it's some decorous little thing with good manners. It's a lie. Compared with most florals, Indiana is straight-up raunchy (not Salome-raunchy, but what is?). And it's complex. It definitely deserves a revisit. You never know what strange things lurk in the most familiar places. Bergamot and rose are my first thought when I take in the initial phase- more rose than tuberose, later with vanilla and finishing by the well-known Creed ambergris. Nice, but it never really takes off on me and never really develops convincingly on my skin. I get soft sillage with moderate projection and two hours of longevity in my skin. Whilst this may be more convincing on someone else, I will opt for neutral here. Try before you commit to purchasing a whole flâcon. Tuberose Indiana opens pretty tame for a tuberose fragrance. Citrus and crisp fruity notes blunt the power of whatever tuberose there is in here. This is very “safe” and agreeable as tuberose fragrances go. It's not challenging, but then it’s not really tuberose, either. Rose, yes, but hasn't anybody told the folks at Creed that that's a different flower? Very short lived, too - two hours or less. My favorite scent is Fracas, and compared to that this is the weak sister. That said, it is a gorgeous scent. Lovely and calm. Wearable to the office, since it has a lasting time of about 5 minutes (full bloom) on me. Very quiet, close to the skin, creamy tuberose. I have a difficult time believing that this is tuberose—in fact, I brought out a sample of Fracas to compare notes—ok, could be, but there is rose in the floral mix, and the rose comes through very strongly to me. The floral aroma is quite full in the opening—it’s of flowers that have reached full maturity and are just on the edge of being cloying—I don’t feel it crosses the line, and within twenty minutes the accord has lost much of its aggressiveness and settles down to a beautiful and discreet mixed floral. The rose remains prominent to my nose throughout the progression of the fragrance, which consists of the ebbing of the intensity of the florals and the growing prominence of a typical Creed base—ambergris and musk. I don’t get much powder, not even in the drydown. The scent has a rather strong sillage at the beginning and it gradually ebbs with time. It has decent longevity considering it’s a Creed. Tubérose Indiana is a lovely feminine scent—subtle and endearing. Another nice floral by Creed. 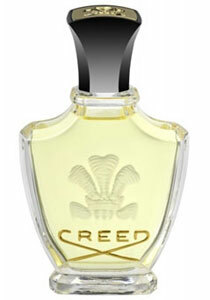 The house of Creed is notorious for its florals and this one represents the company very well. There are no member images of Tubéreuse Indiana yet. Why not be the first?